The one good thing about the colder weather is of course pumpkin season. You know it’s here with the release of that infamous coffee drink. This pumpkin coconut curry contains all the warming elements you need to begin your seasonal hibernation. Each bite combines the infusion of turmeric, chilli, and pumpkin in the coconut sauce and then you add in the texture of fresh pomegranate seeds and toasted pumpkin seeds for extra colour and crunch. This makes for one delicious combination. It may seem like a lot of ingredients here but everything is quick to throw together in a large pot that makes plenty of servings to share or freeze and have extra for lunches and weeknight dinners. 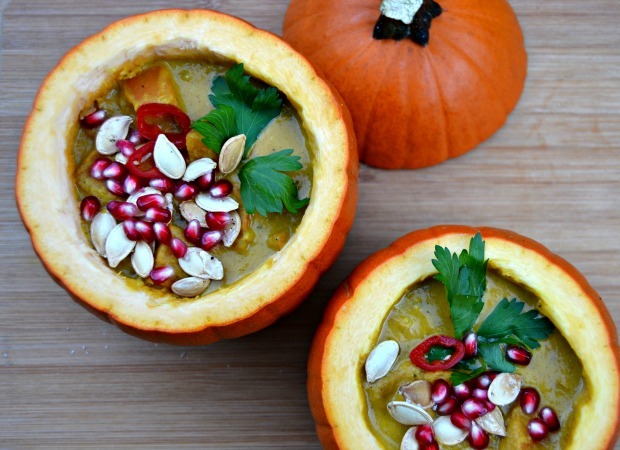 You can even make this extra festive by using pie pumpkins or squash as your bowls! 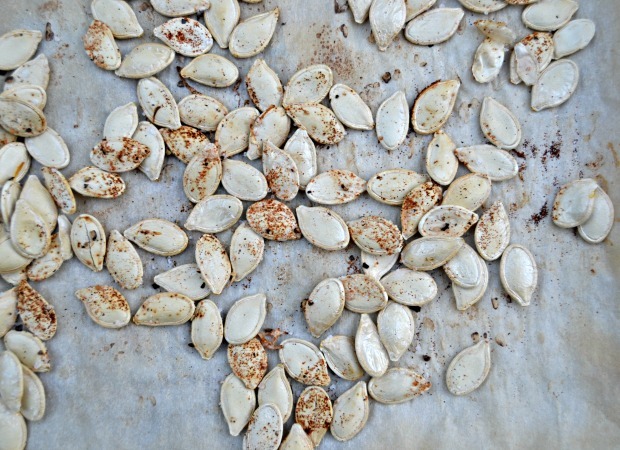 If you’re using fresh pumpkin, don’t forget about those seeds either. Give them a rinse, lay them on a baking tray, and toast them in the oven with salt, pepper, and some paprika for a tasty nutritious snack. Melt the knob of coconut oil in a large casserole pot. Add the garlic, onion, chilli, and ginger and allow cook for a minute then add the spices in. Chop the carrot and sweet potato into bite sized pieces and toss in. Allow to soften for a few minutes. Bring everything to a boil, then allow to simmer for 40-45 minutes or until the veg has softened. 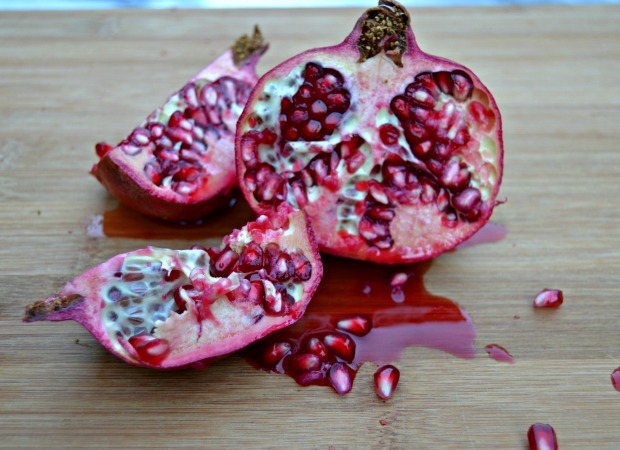 Serve straight away and top with toasted pumpkin seeds, fresh pomegranate seeds, and chopped fresh coriander. 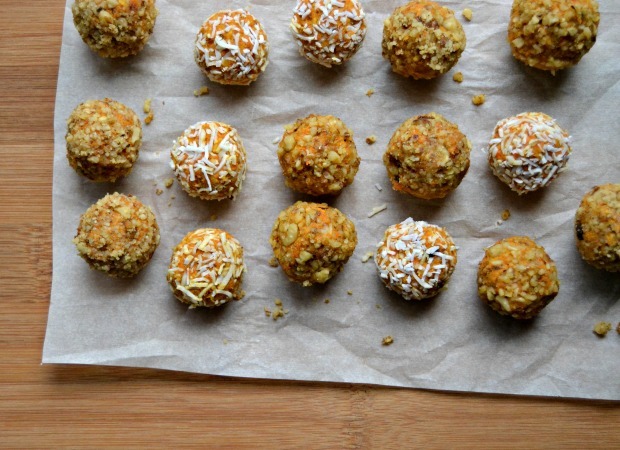 Spring hasn’t exactly quite sprung but that hasn’t stopped me from embracing the lighter side of things and these raw vegan carrot cake bites are a total treat! Incredibly easy to put together, they take no time at all and are as delicious as a freshly baked carrot cake. 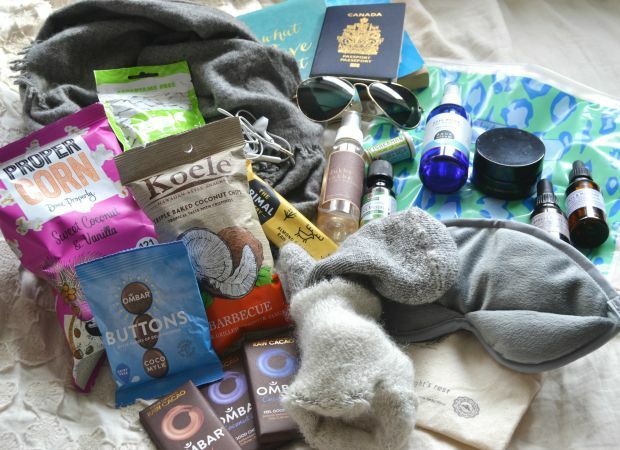 Choosing organic products means better health benefits for you and the environment around you. The soil our food grows in these days is seriously lacking nutrients and is depleted by the use of different pesticides and herbicides as well as conventional farming practices. I don’t know about you but I like my carrots to taste the way carrots are meant to and know that they’ve grown as nature has intended them to. You can put them together this Easter weekend, or make them as part of your food prep for the week ahead as a tasty snack. 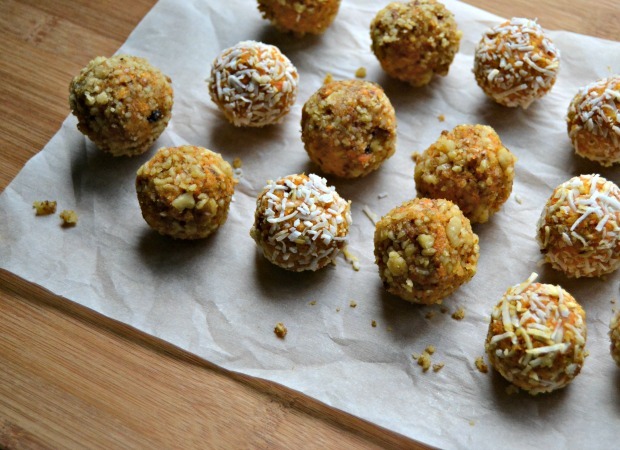 In a food processor, add about ¼ cup of the walnuts, pulse until crumbly then set aside to roll the balls into later. Add the carrots and the rest of the walnuts and pulse again until fine. Set aside about ¼ cup of the shredded coconut then add the rest along with the dates, vanilla, cinnamon, ginger, and salt and pulse to combine everything. Take ½ tbsp. amounts of the mixture, roll into balls then alternate coating them in the ground walnuts or shredded coconut until covered. Place on a lined baking tray then pop them into the fridge. Make the cashew cream cheese. Drain and rinse the cashews then add to a high- speed blender with a few tablespoons of the coconut milk. Add the maple syrup, vanilla, lemon juice, and salt and blend until smooth. Depending on how thick the mixture is, add more coconut milk, tablespoon by tablespoon until desired consistency is reached. 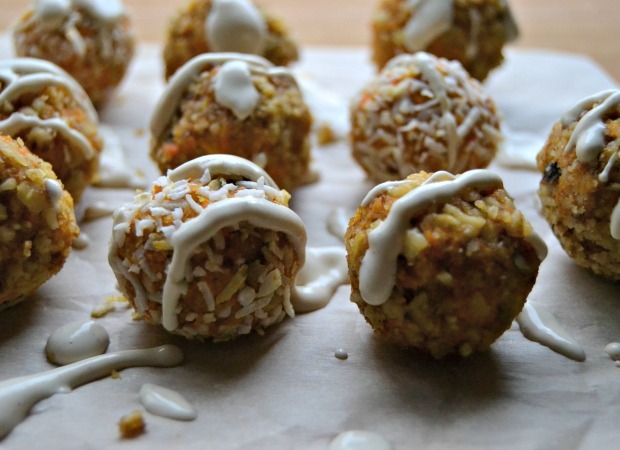 Drizzle the carrot cake bites with the cashew cream cheese and enjoy! These cookies though. If you’re looking for a healthier alternative to a classic chocolate chip cookie, this should do the trick! 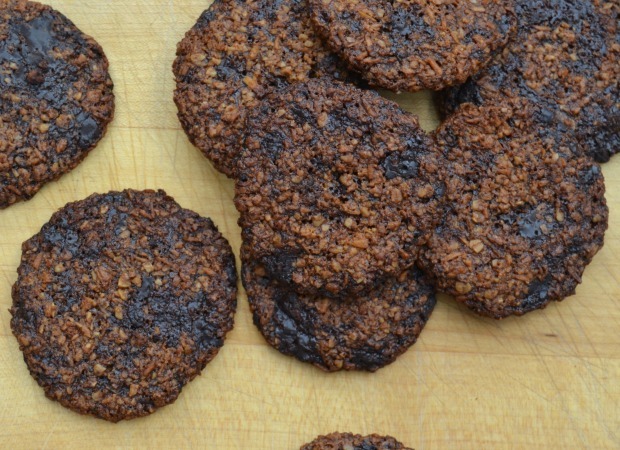 Not only are these free from any flour or refined sugar, they can also be made vegan (substituting butter for coconut oil) and still taste amazing! 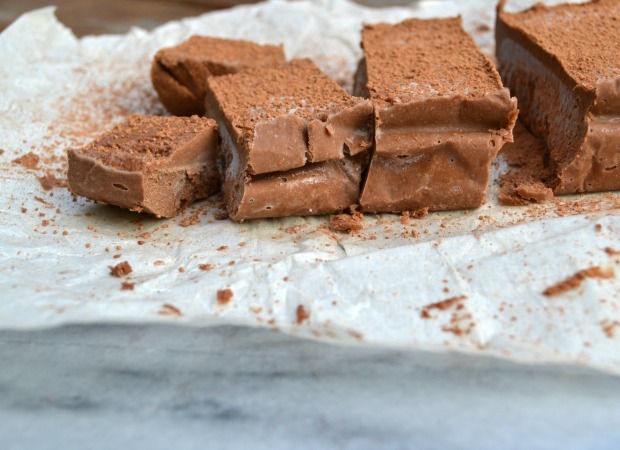 Super simple to put together, they bake up in a matter of minutes for a satisfying chocolate treat. 1. Preheat over to 350°F. Add the oats to a food processor and blend until they make a flour. Add the shredded coconut and allow it to blend with the oats for a few pulses. 2. Tip the oats and coconut into a large bowl and add the coconut sugar, baking powder, baking soda, salt, and vanilla, stirring to combine. 3. In a small saucepan on the stove, melt the butter or coconut oil on a low heat. Allow this to cool slightly. 4. Add the melted butter/coconut oil to the dry ingredients and mix together. Fold in the chocolate. 5. Line a baking sheet with parchment paper and take tablespoon amounts of the mixture to make the cookies. Leave about 2 inches between each cookie to allow space for them to spread. 6. Bake for 8-10 minutes then allow to cool before indulging! My recipe for overnight oats which I’m loving for breakfast at the moment. I’ve been eating them a few times a week for months now but they are currently being consumed pretty much on a daily basis! Sometimes after I wake up I don’t feel like eating straight away. Or if I practice yoga first thing, I’m really hungry by the time I finish and want to eat something RIGHT after. Overnight oats work in both cases. They are one of the easiest things to prepare and they’re ready whenever you want them for breakfast. 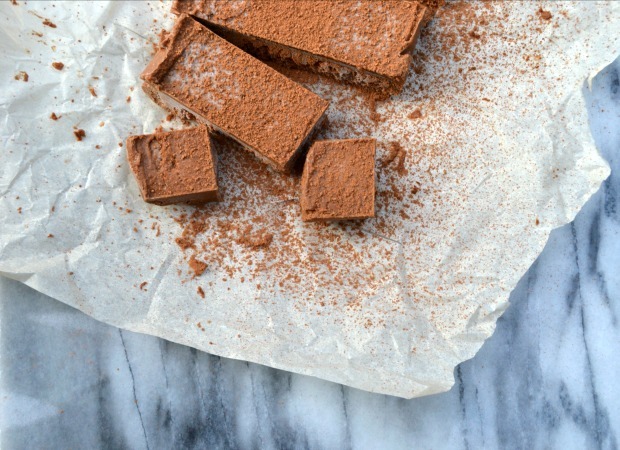 This version is chocolate with berries but it’s easily adaptable to your liking. 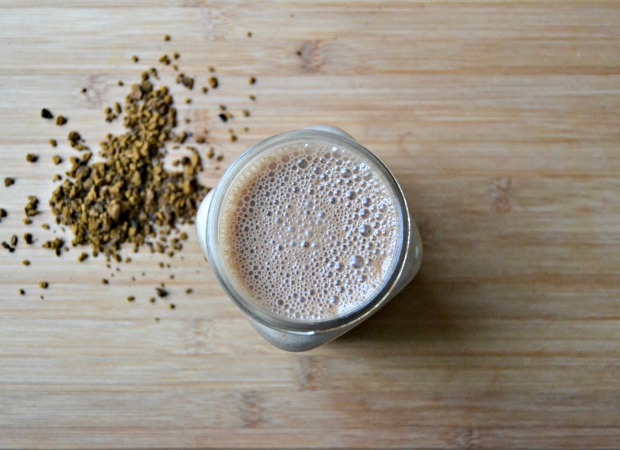 Enjoy this without the raw cacao and make it vanilla. Add nuts or granola with different fruit. Try adding some shredded coconut or superfoods such as maca. Making it with chocolate actually seems like you’re having dessert for breakfast and who wouldn’t like that? The first three ingredients are your base. From there, it truly is endless so experiment with different flavour combinations as you see fit. Simply add the oats and your choice of milk to a bowl, mix together, and leave overnight in the fridge. When ready to eat, remove the bowl from the fridge, mix again, and add your toppings. 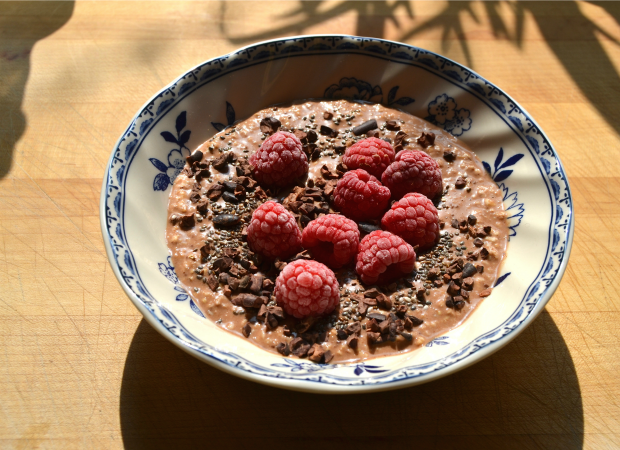 I love mine with the raw cacao, a little maple syrup, sprinkling of chia seeds, cacao nibs, and frozen raspberries. P.S. You can make this in a mason jar and take it with you on the go in the morning for your commute or to eat at your desk!